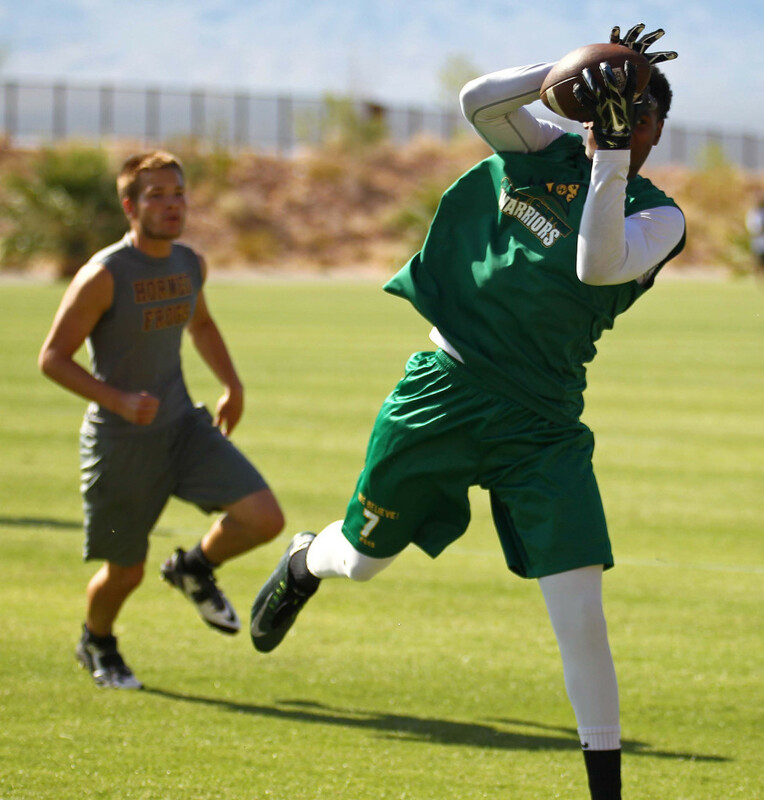 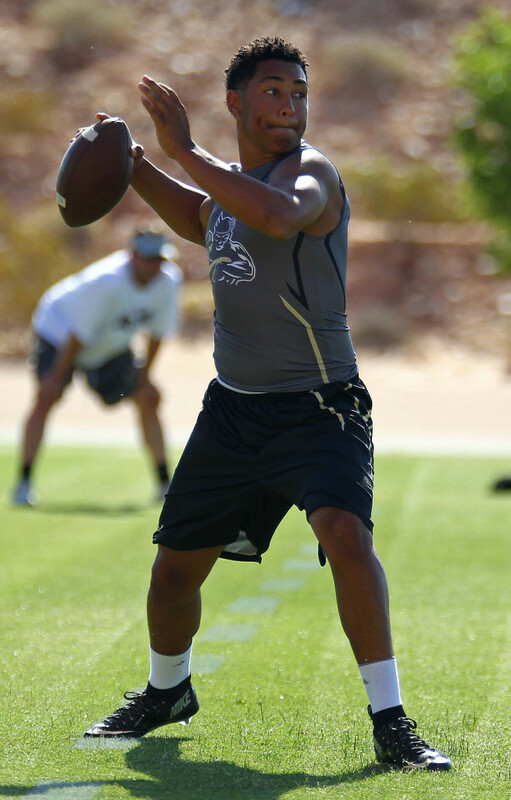 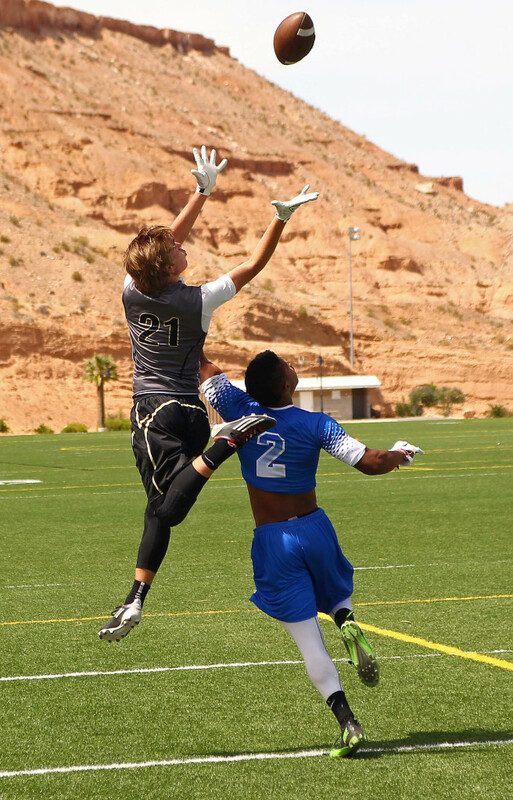 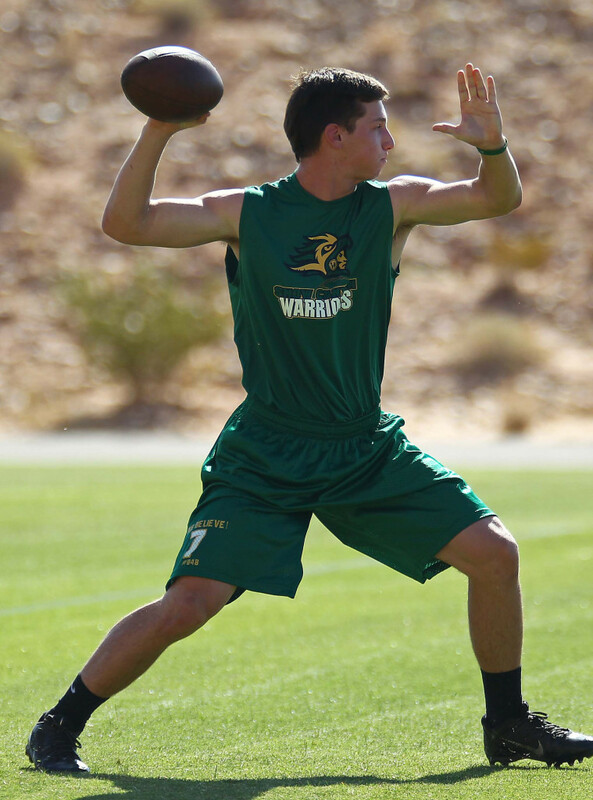 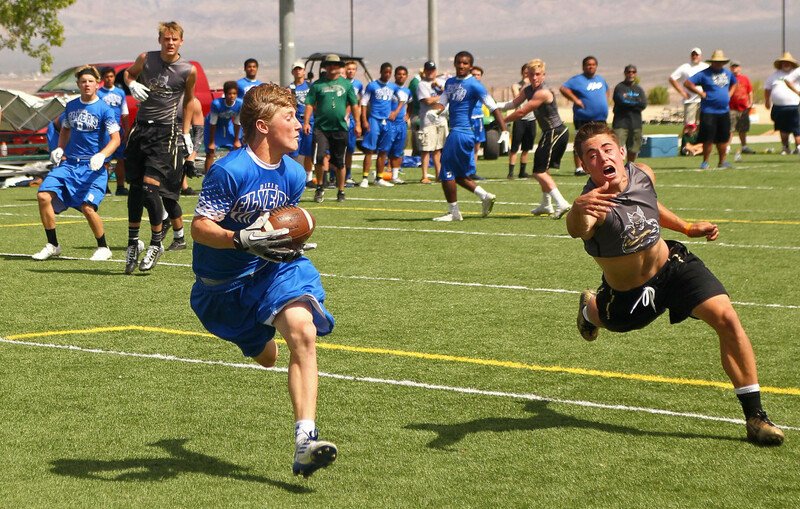 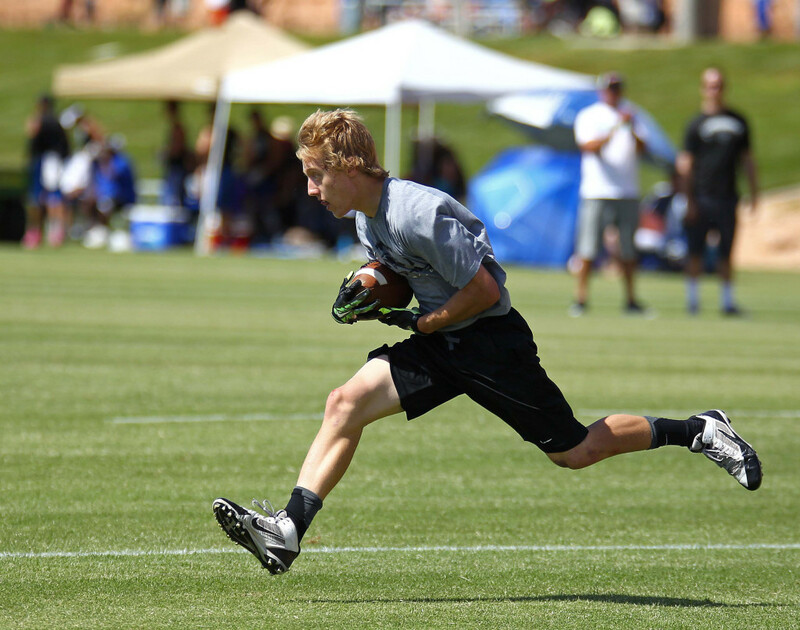 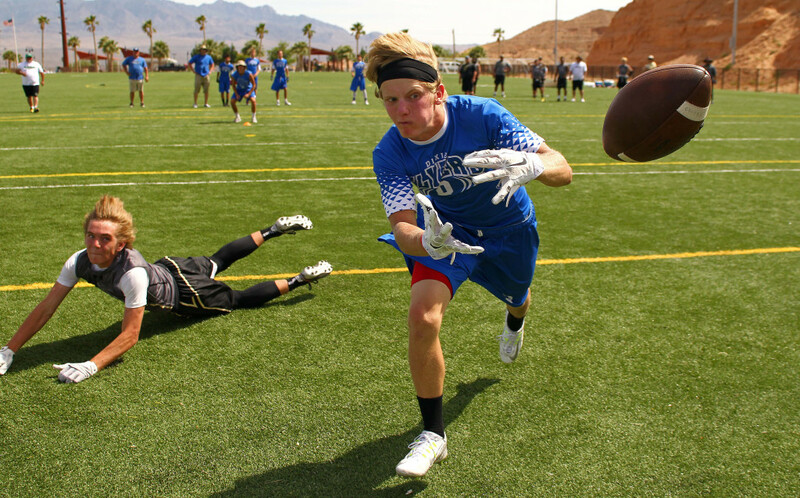 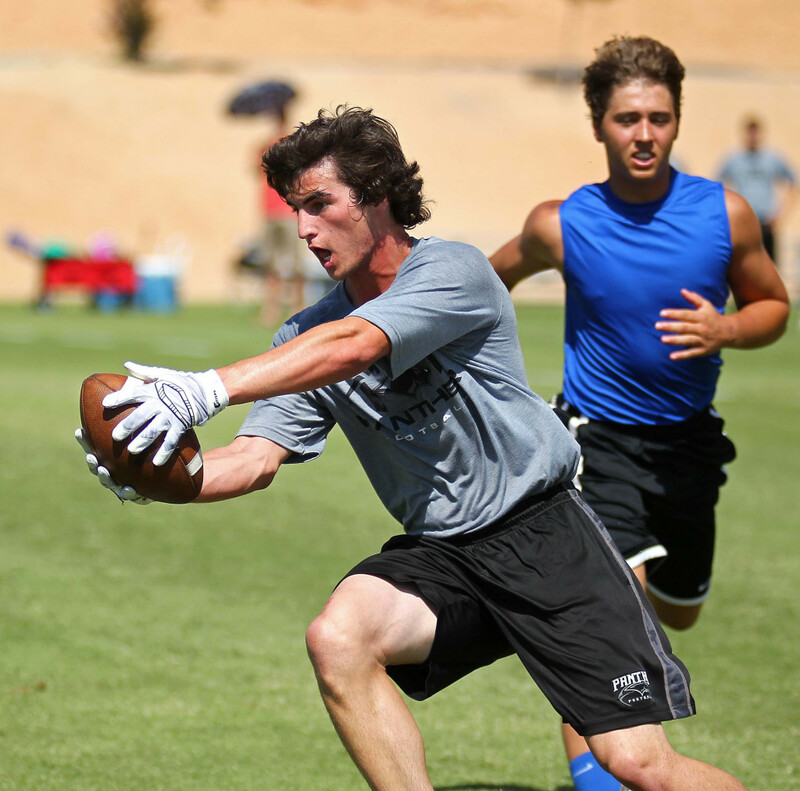 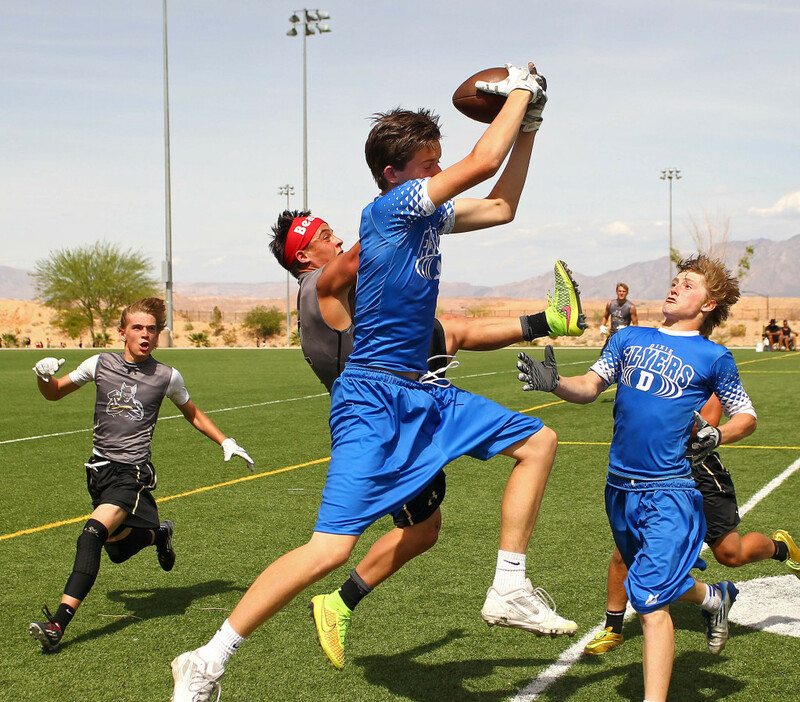 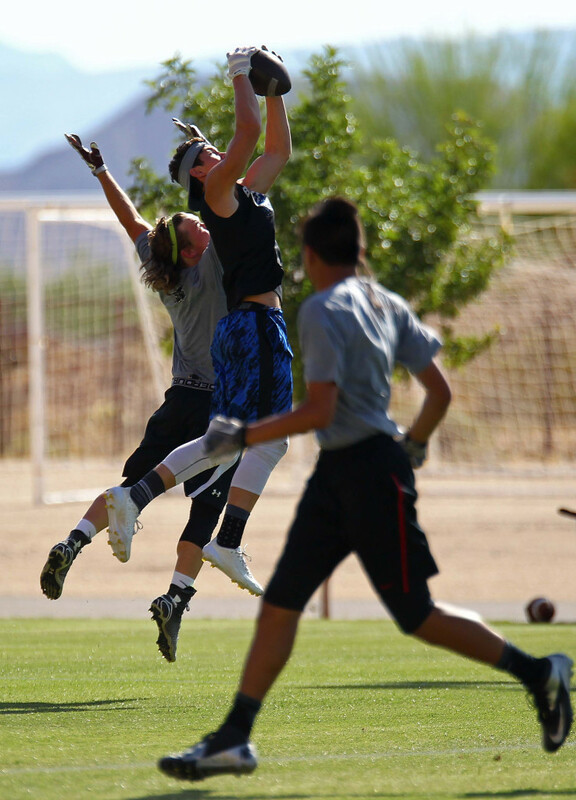 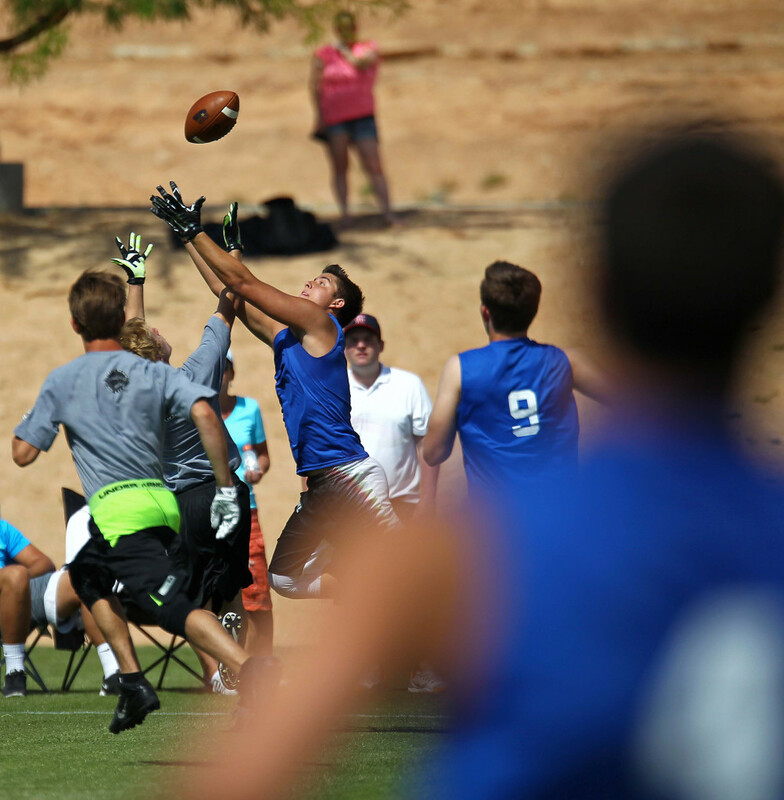 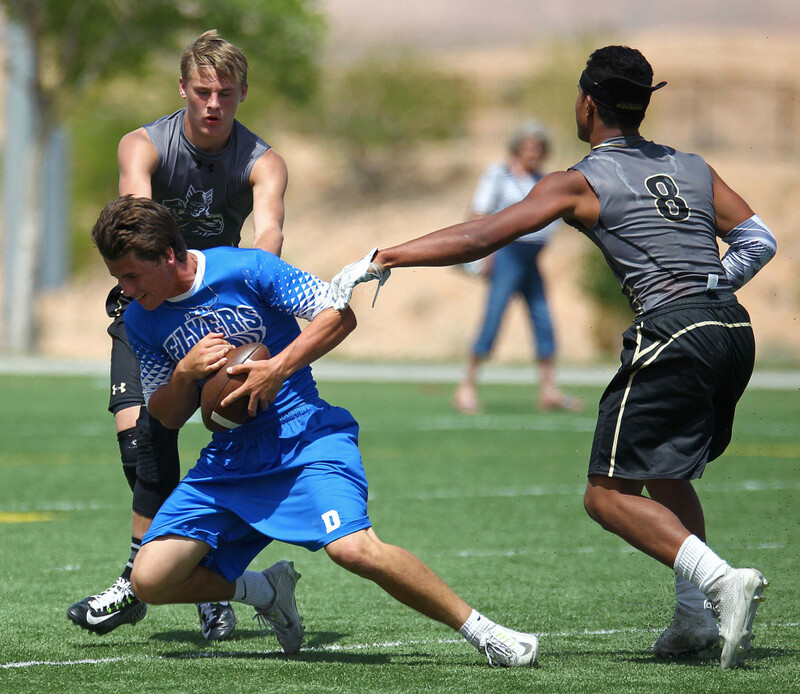 MESQUITE, Nev. — The summer Mesquite 7-on-7 Shootout was red-hot, quite literally as Desert Hills survived a double-overtime battle with Dixie in the 105-degree heat in southern Nevada to take the title Saturday at the Mesquite Sports and Events Complex. 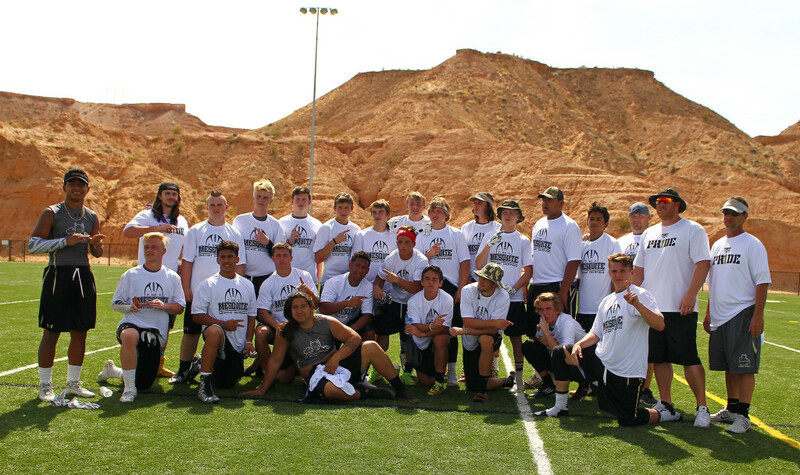 Eighteen teams from Utah and Nevada attended, but it was the Thunder who won it. 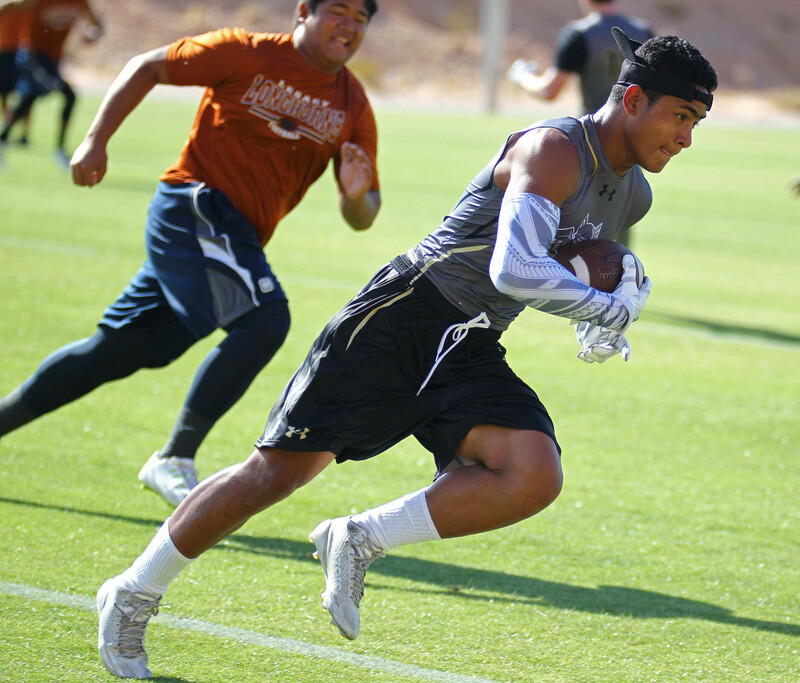 Nephi Sewell caught the game-winner from Nick Warmsley and some new young stars emerged for the local teams, with DH, Dixie, Snow Canyon and Pine View representing at the event. 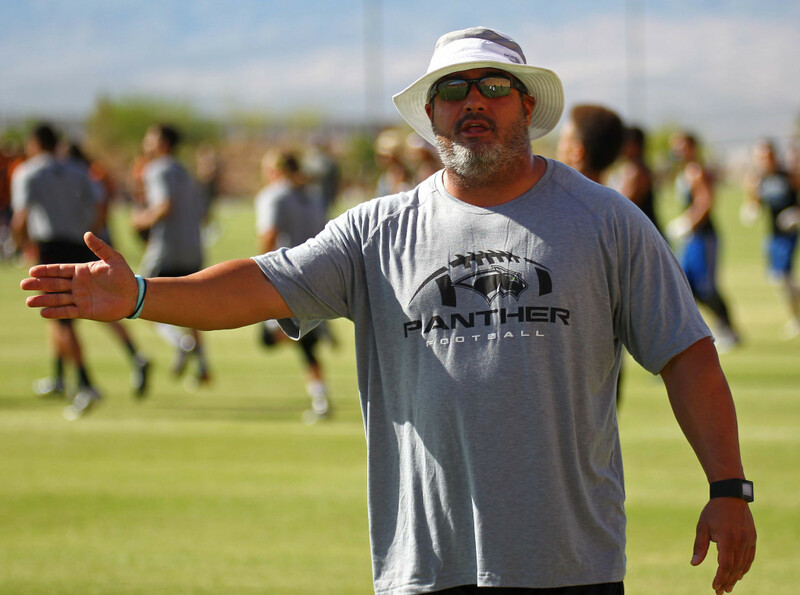 Seven-on-seven football can be an acquired taste, with no real interior play and a pass-rush that is literally a stopwatch. 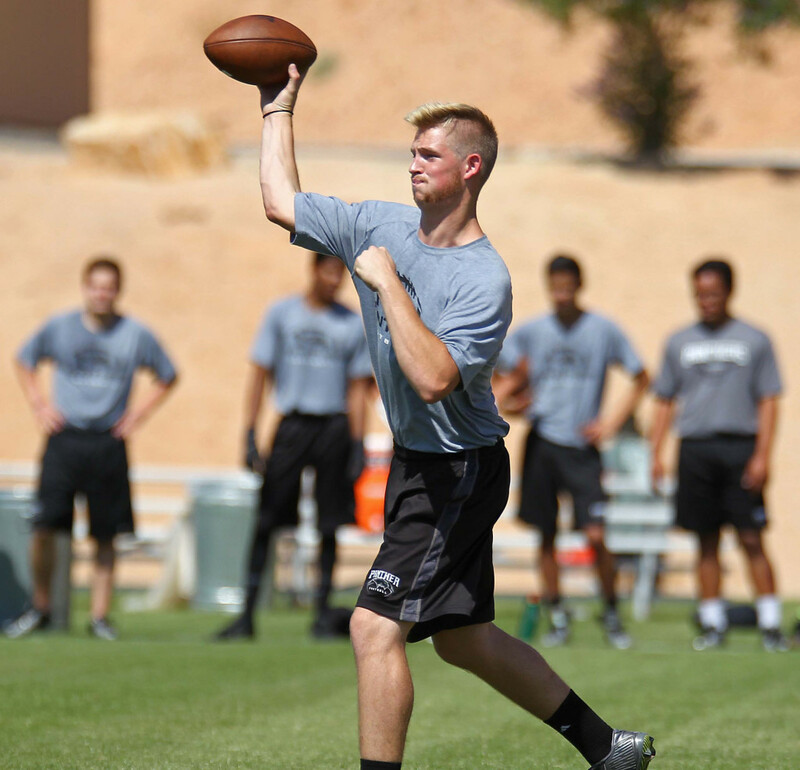 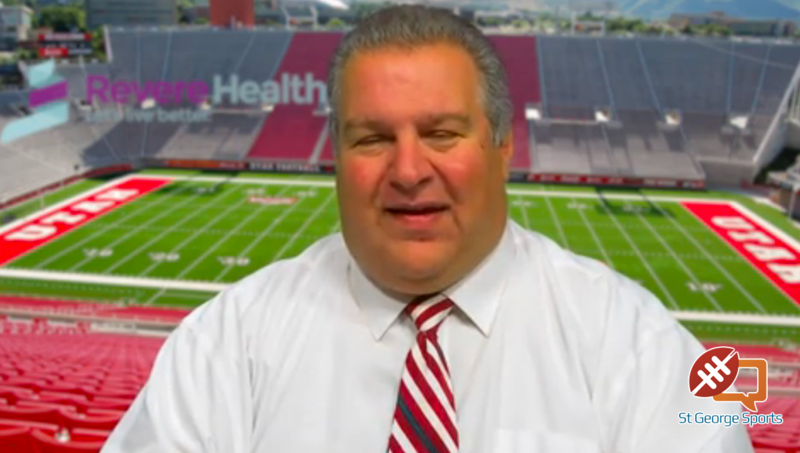 But it can also give football fans a sneak peek at the potential gridiron stars for next fall. 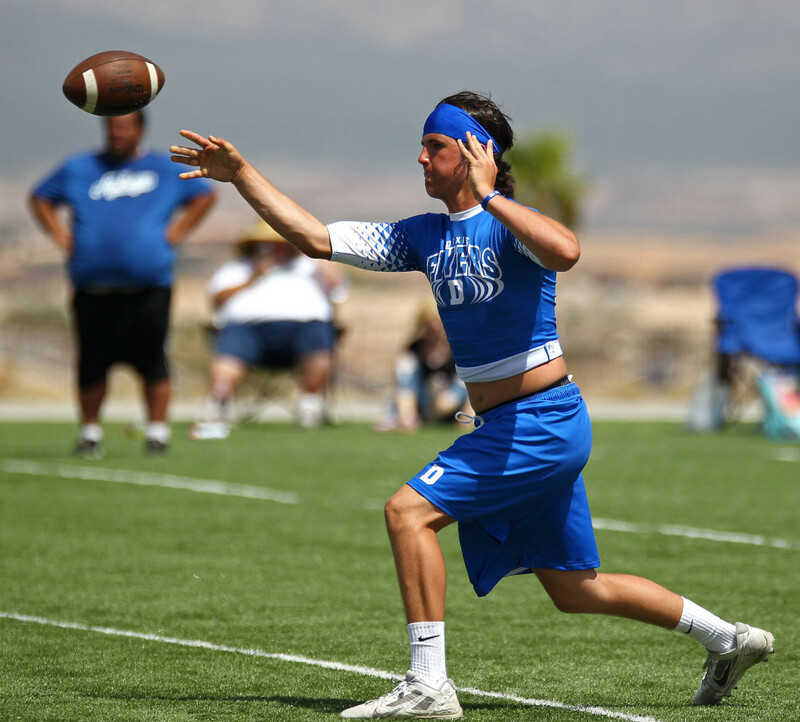 Hobbs Nyberg of Dixie and DH’s Zak Fuchs and Quinn Kiser were a couple of the young stars Saturday.